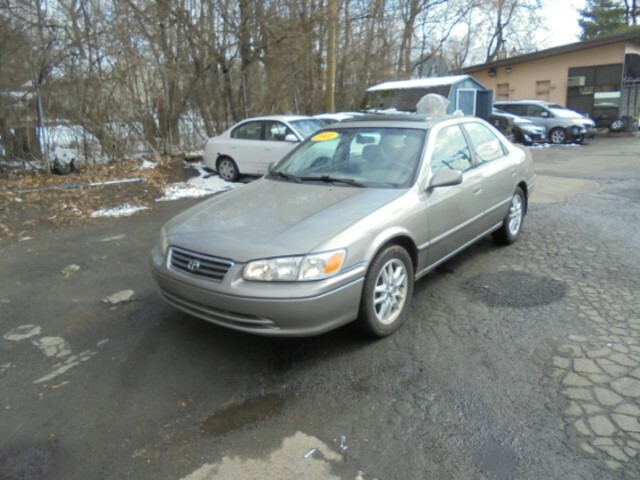 We are selling a reliable 2001 Toyota Camry XLE V6. This car runs just like new with a smooth shifting transmission. This XLE package includes a Sunroof, Leather Seats, and Alloy Wheels. If you looking for an inexpensive vehicle that is known for its reliability this is the car for you. This vehicle has 162,000 miles on it. If you are interested in the vehicle you are more than welcome to call at 860-951-0824 or come down to Brookfield Auto Sales, Inc. located at 8 Brookfield Street, Hartford CT to take the vehicle for a test ride and to negotiate with Mike or Tony. We accept trade ins and have guaranteed approval financing that can approve anyone no matter your credit situation. Also visit us on brookfieldautobodyandsales.com for our list of inventory. Visit Brookfield Auto Body & Sales online at brookfieldautobodyandsales.com to see more pictures of this vehicle or call us at 860-951-0824 today to schedule your test drive. Visit Brookfield Auto Body & Sales online at brookfieldautobodyandsales.com to see more pictures of this vehicle or call us at 860-951-0824 today to schedule your test drive.